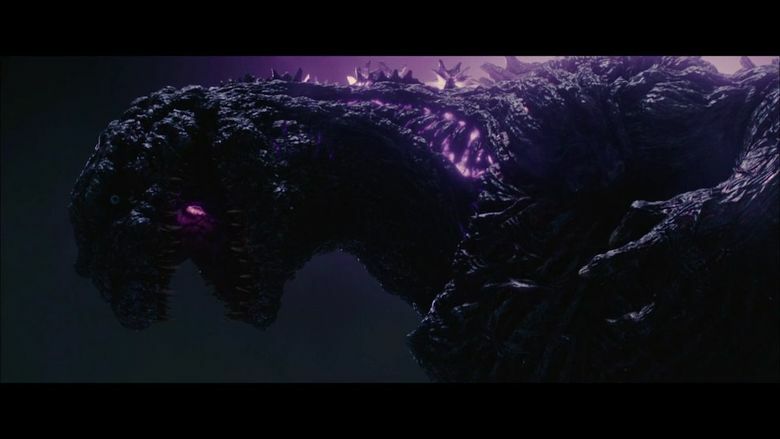 Upon its announcement at Fantastic Fest, “Shin Godzilla” (aka “Godzilla Resurgence”) became the must see movie of the Fest for monster fans from around the world. As a long time Kaiju (Giant Japanese Monsters) fan, I was especially excited to see the US premiere of the first Japanese Godzilla movie since 2004’s “Godzilla Final Wars”. Godzilla 2000 was the last film in the Japanese series I was able to catch in an official theatrical run (although I am lucky to live in Austin where the Alamo Drafthouse shows repertory screening of Godzilla movies from multiple eras, so my enthusiasm was high. Upon leaving the theater, I was elated but overall I believe this new Godzilla outing will be a divisive one at best. Going into it I had high expectations (and perhaps the tiniest bit of trepidation) as it is co-directed by Hideaki Anno of Evangelion fame and veteran Kaiju director and FX director Shinji Higuchi (who is known for his work on the Gamera movie trilogy and the Attack on Titan movies). The screenplay however has all of the hallmarks of Hideaki Anno’s work, which is a double edged sword as a relaunch for the franchise.. Fans of Evangelion may rejoice, while western audiences who were previously disenchanted with the US Godzilla of 2014 may have similar issues with the political intrigue and lack of monster battles that many people yearn for from the past. “Shin Godzilla” begins with the Japanese Coast Guard inspecting an abandoned yacht in Tokyo Bay (a possible callback to” Godzilla” and” Godzilla 1984”) that quickly goes awry when an explosion rips through the bay; wrecking the Tokyo Aqua-Line (an underground tunnel reminiscent of the Lincoln tunnel)and causing chaos for citizens of Tokyo. In a world that hasn’t seen a giant monster since 1954 (if ever) speculation begins on if this is a natural phenomenon or something worse. It is here that Shin Godzilla holds a mirror to Japanese bureaucracy and how ineffective the government can be when facing the unknown. This is especially true when that unknown turns out to be a fledgling Godzilla, finally landing ashore, causing extreme casualties and mass destruction in its wake. The tone quickly turns to meetings about meetings and many text-filled screens detailing the committees within committees and this is where first time viewers may be turned off by the whole affair. 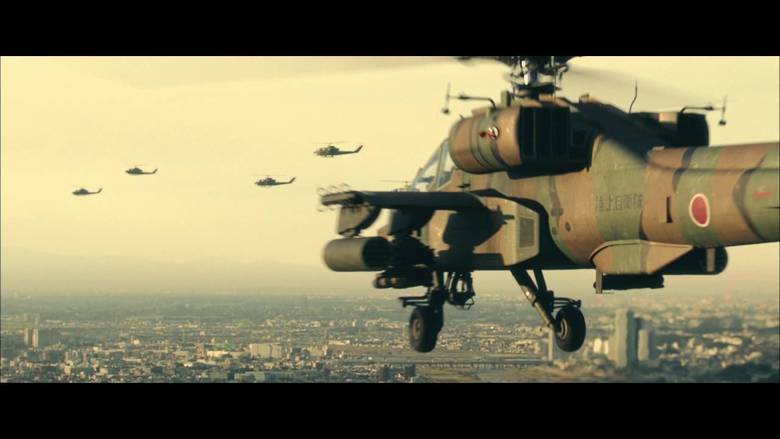 While the 1954 “Godzilla” plays with ideas of what to do with a nuclear creature in a newly nuclear war, “Shin Godzilla” deals with a nation in a post nuclear war, poised between superpowers and struggling to decide how to use its own defense force without overstepping its bounds. 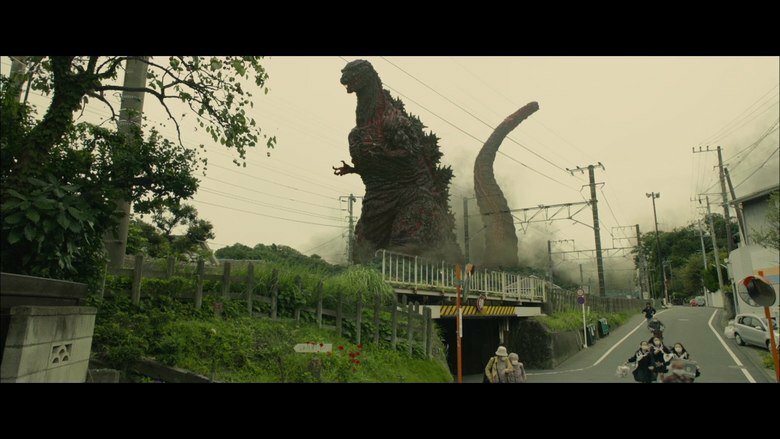 “Shin Godzilla” is not just monster stomping and political satire,. as every jab at the Japanese political system is countered by a very nationalist bent. The US and its representation come into play in perhaps the strongest showing since “Godzilla 1985” and it is both over the top and realistic in turns. I found myself thinking, “Yeah, we would totally do THAT” several times through the movie, even when THAT was perhaps not flattering on a national level. Amongst the international politics there does come a great end to the Gojira/Godzilla debate that attempts to humorously silence the debate once and for all. On that note, Godzilla’s design in the film is sure to also be a topic of debate, from his first appearance as a strange infantile sea/land creature to his final terrifying form, the primarily CG Godzilla is sort of a mixed bag. The living evolution form (complete with oozing gills and strange facial visage), is interesting and somewhat terrifying, but unfortunately (like most Japanese CG movies) this Godzilla lacks the polish and integration with the scene that the 2014 US Godzilla was able to obtain. 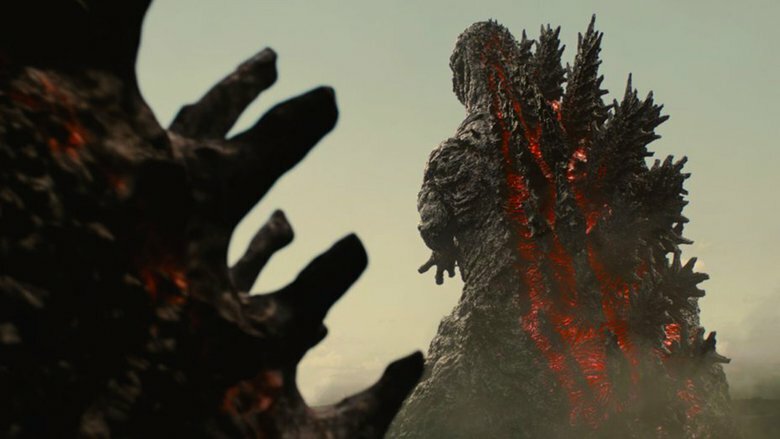 I still enjoy the Godzilla’s more familiar bipedal form including his lava-like scale pattern( (complete with red glow) and the atomic breath (that begs to be seen in full glory on the big screen), but the cold white eye design weirds me out a bit. It is interesting that despite being primarily a CG monster, great pains were taken to have him move as if he was a man in a suit. To Shinji Higuchi credit, all of the things that work for the CG Gamera are on display here and Godzilla is both terrifying and larger than ever before. Once he reappears in the film, he is once more a force to be reckoned with. Despite his role as monstrous force of nature being tweaked to include a new role as an outside force and threat of the unknown in a new geopolitical era, he still has a commanding presence amongst the towering skyscrapers of Tokyo and war machinery that he lords above.Watching the scientists try to decipher what makes this latest Godzilla incarnation tick and how to defeat it is still as entertaining as in the past, but with new updated scientific theories and tweaks that are sure to cause much debate upon fans exiting the theater and out into the internet. For me, much of it works, but I do miss some of the plain old “It’s a giant lizard that crawled out of the sea, and that is just the way it is!” aspect to Godzilla’s origin. It is my sincere hope that we get concurrent US and Japanese Godzilla films, each with their own flavor for several years to come. If the films find the sweet spot between the politics of 1954 and 1984 and monster battling and mayhem, I think we’ll be in good hands. If you want to see “Shin Godzilla” rampage across the big screen, follow this link for show times and theaters. Tony Salvaggio is a writer as well as a tech artist, animator, and designer in the videogames industry. He is the co-host of the Castle of Horror podcast as well as the co-creator of the manga-influenced series "Psy-Comm" from Tokyopop and the steampunk adventure "Clockwerx" from Humanoids Publishing. As a freelance journalist, Tony has penned the column "Calling Manga Island" for Comicbookresources.com, and worked on various video game and manga related writing projects. When he isn't playing with his band Deserts of Mars, he is co-hosting the Castle of Horror podcast, working on video game projects, and planning for his next big comic writing adventure. Thanks for finally talking about >Beasts from the East: Shin Godzilla – HorrorMovies.net <Loved it!